Just the mention of the word 'moustache' is normally enough to make revered 'tache-meisters like Tom Selleck, Charlie Chaplin, Hercule Poirot and Salvador Dali pop straight into your head. Now, a new name may soon be forcing its way into that elite band of superstar cookie dusters: mr.play. It’s fair to say mr.play has come up trumps in the software stakes, pulling in the great and the good of the software development world. Take even a cursory glance around the site’s games cupboard and you’ll spy high-quality titles from the likes of Microgaming, NetEnt and Play'N Go, as well as exciting offerings from a host of other top-notch providers. They’ve even managed to get Evolution Gaming, the de-facto master of live gaming, on board to take care of the platform’s live casino elements. With its grey-white background and pared down presentation, mr. play’s website is a smooth yet simplistic affair (a bit like a moustachioed Errol Flynn). As well as being easy on the eye, the site is also easy to get involved with, sporting an ever-present MENU and live chat option across the top of the screen, which flashes up a dashing black 'tache every now and then, just for good measure. A quick scroll down the landing page reveals a pretty substantial opening salvo of slots, propped up by a roll call of who’s recently won what on the site’s lucrative progressive jackpots. The current welcome bonus package is also on permanent display. 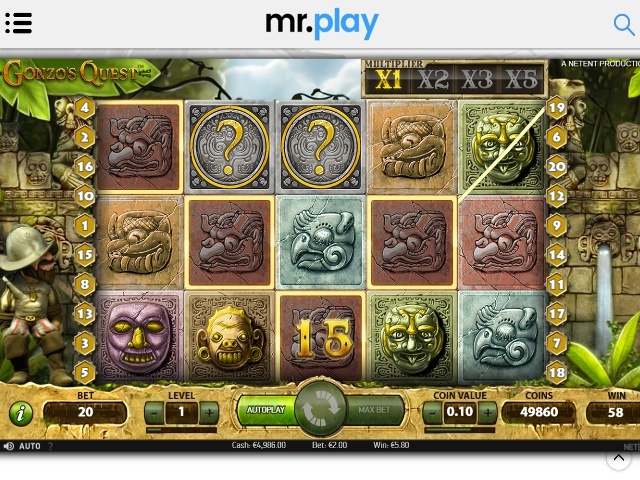 Now you probably won’t be surprised to discover the vast majority of mr.play’s 350+ games are slot titles. It’s a pretty eclectic catalogue too, with classic games and legendary titles rubbing shoulders with progressive jackpots and more recent video slots. This is a collection that’s capable of keeping punters of all kinds engaged, regardless of whether you’re a recreational player on a lunch break or a seasoned jackpot hunter knuckling down for an evening session. Does mr.play Offer Progressive Jackpot Slots? Oh yes! And, it has to be said, there’s a pretty fair selection of them too. 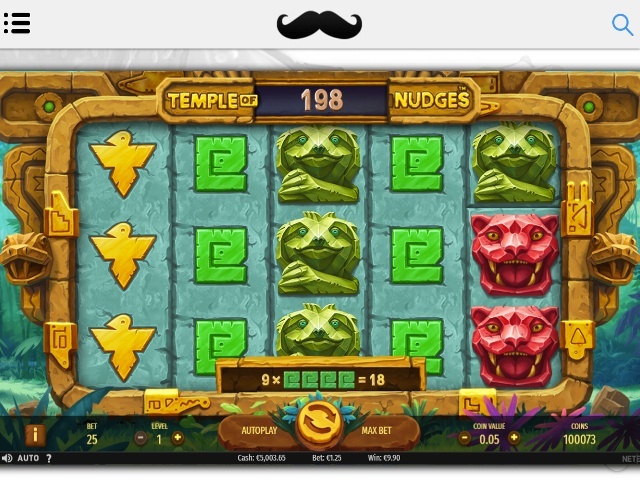 Can Players Demo mr.play Slot Games for Free? 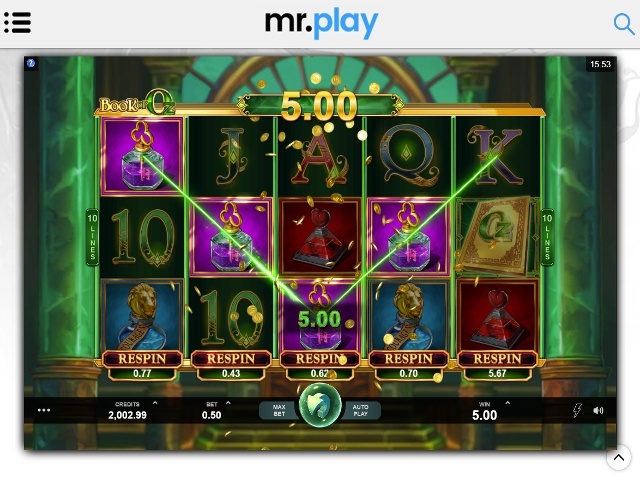 A good number of slot games at mr.play can be played for free in demo mode. Registered players can use a number of methods to fund their mr.play accounts, including VISA debit and credit cards, MasterCard and paysafecard. eWallet services such as Neteller, Entropay and Skrill are also on hand. The swiftest withdrawals tend to take around three days and are processed without any fees. It’s very important to note though that payouts are capped; players can only withdraw a maximum of £7,000 per month. Though it doesn’t really push any boundaries as such, mr.play’s welcome bonus of 100 spins and up to £200 in bonuses is enticing enough to convince new players to register and see what’s what. And it really is worth signing up, as once you’re in and part of the furniture you’ll find a pretty intriguing and potentially very rewarding long-term bonus system to take advantage of. All you need to do is collect the bonus points that get dished out in return for your valuable playing time and then you can trade them in for prizes and a range of other benefits. Like the rest of the set up here, it’s a simple approach that can and often does pay dividends. As far as acronyms go, mr.play’s ‘"C.A.R.E" - Customers Are Really Everything!’ is right up there with the cheesiest. It does however offer very friendly and adept customer support, although this is only provided between the hours of 06:00 - 23:00 GMT. Email and phone options are both available, although the handy Live Chat portal is arguably the most convenient way to go. 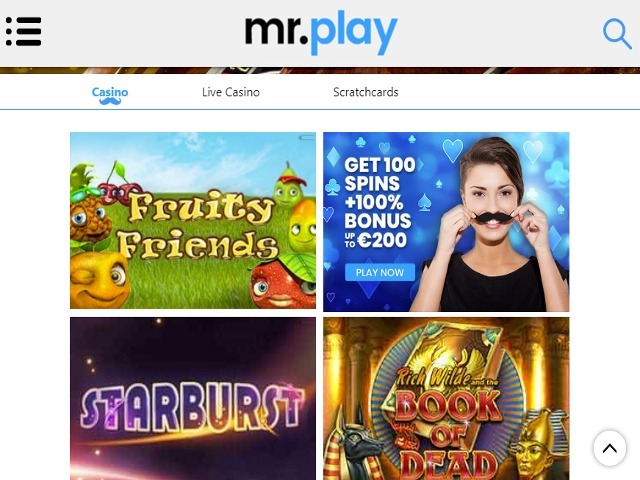 mr.play operates from its base in Malta under licences from the Malta Gaming Authority, the UK Gambling Commission and the Swedish Gambling Authority. Moreover, the site makes use of the latest 128-bit Secure Socket Layer (SSL) encryption technology to ensure sensitive data is stored and transferred securely.